In the Handmade soap making process, oils and fats are combined with an alkali to produce soap and glycerin. Modern soap is still made by this basic process, but Handmade True Soap offers many unique benefits for your skin. Handmade True Soap is made using a batch process by individual soap makers, most of whom choose the highest quality pure skin-loving oils such as olive oil, coconut oil, avocado oil, sweet almond oil, hemp oil. They also use rich butters like cocoa butter, shea butter and mango butter. Some Handmade soap makers also use tallow, which is derived from beef fat and makes a smooth, hard bar Handmade True Soap is made by combining oils or fats with an alkali and water. The products of this reaction are soap and glycerin. Soap cleanses the skin while glycerin moisturizes it. Is there lye in Handmade Soap? No. Although lye (an alkali ) is used to make true soap, the chemical reaction between all of the ingredients used in the soap making process cause the lye to be literally “reacted away,” leaving behind a mild, effective bar of pure Handmade soap. How should I take care of my Handmade Soap? Handmade soap is a special product. Because it contains glycerin, it can retain more moisture than other soaps. To extend the life of your Handmade soap, place it in a well-draining soap dish. Keep unused bars in a cool, dry place, and use them within a few months of purchase. How can I be sure of the ingredients in my Handmade Soap? Because each individual soap maker uses different manufacturing processes and ingredients, you can be absolutely certain of the ingredients in your Handmade soap and the process employed to make it by asking the individual manufacturer. Most Handmade soap makers list ingredients on their soap labels and, in many instances, you can visit their Web sites or review their product brochures for more details. of soap. Essential oils and fragrance oils contribute scent; cosmetic-grade pigments impart color; and botanicals, spices, and other natural ingredients add texture. It is not unusual to find Handmade soap made with such things as oatmeal, sliced almonds, shaved coconut meat, corn meal and other goodies that provide light and gentle exfoliation for your skin. Many Handmade soaps are “superfatted” or super-enriched with additional oils that are literally suspended in the soap and applied directly to the skin while bathing, providing even more emollience. Glycerin is naturally produced during the Handmade soap making process. In fact, pound for pound, glycerin costs more than soap, which is why some soap companies remove the glycerin from the soap and sell it to manufacturers of things like tooth paste and lotion. Soap Guild members do not remove the glycerin from their Handmade soap, so when you purchase soap made by our members, it contains all of the naturally occurring glycerin. With Handmade True Soap you get a fabulous cleanser and a moisturizer in one!! Hot Process (HP) Soap: While there are various methods for accomplishing a hot processed soap (stove top, oven, crock pot), all HP soap is made with additional heat sources. Many soap makers use this method because it shortens the cure time from several weeks to few days or a week. 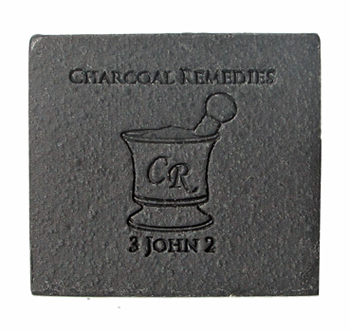 Cold Process (CP) Soap: Traditionally, soap was cooked over a fire, much like the “hot process” method. CP, however, relies on the exothermic reaction of the lye to provide the heat necessary to make soap. Like most soaps, CP soap needs 3-6 weeks to “cure” in order to produce a hard, mild bar. Melt & Pour (M&P or “glycerin”): This ready-made “soap” comes to the soapcrafter in bulk form and is then remelted. Scent, colorants and other extras are added and then poured into molds. Often this type of soap is chosen to achieve a more “artistic” look to the soap. There are non-detergent based M&P bases (similar to CP or HP) and detergent bases. If your soapmaker’s base lists SLS (sodium lauryl sulfate or sodium laureth sulfate) as an ingredient, the M&P is detergent based. Milled Soap: Whether soap is single or triple milled, the milling process is the same. Glycerin is removed from the base soap, leaving a dense log of soap which is then ground into a fine powder. The powder is put into a hopper, along with scents and colorants, and is rolled between steel rollers (or mils). Triple-milled soap is put through the rollers three times. After milling, the soap is pressure-extruded into molds. This results in a very dense, hard bar of soap which will likely crack when it comes into contact with water. The advantage to this soap is it tends to last longer because of its lack of glycerin. The disadvantage is that the glycerin, the best part of the soap, is removed. Currently, none of HSMG’s members produce a milled soap. Rebatched Soap: Erroneously called “hand milled,” rebatched soap is handmade soap which has been grated, chopped, melted (usually with additional liquid) and remolded. Since this type of soap is more labor intensive and does not make a higher quality soap than the other types of soap, most Handmade soap makers will rebatch only occasionally. Liquid Soap: Liquid soaps are pump able or pour able soaps. Liquid soaps are made with potassium hydroxide instead of the sodium hydroxide bar soaps require. Liquid soap can be made with or without synthetic ingredients and, like bar soaps, utilize as many or as few different oils as the individual soap maker likes and can be transparent or opaque, thick or more fluid. Cream Soap: Thanks to the efforts of and teaching by author, Catherine Failor, you may find other Soap Guild members who produce cream soap. Cream soap is exactly that, cream; part solid and part liquid soap. It can be made from natural ingredients only or also incorporate synthetic ingredients. It may be scented and/or colored or not. Its uses are the same as other soaps. Along with the various methods of making soap, here are a few other considerations when choosing a soapmaker. Scented Soaps: If you have a sensitivity or allergy to synthetic fragrances, you may want to find a soapmaker using natural essential oils for scent. If allergies are not a problem and/or you’re looking for some of the more popular fragrances found in bath and body shops, then you’ll want to find a soapmaker who uses synthetic aromachemicals. Some soapmakers do both and will be happy to tell you which of their soaps are made with natural oils and which with aromachemicals. Colored Soaps: If you want more naturally colored soaps, there are soapmakers who use only herbs and spices for added color and texture. For those who prefer bold, vibrant colors, some soapmakers use pigments or FD&C dyes as their colorants. Again, many soapmakers will do both and are happy to answer questions about their products. Vegetable or Animal Soaps:Vegetable or Animal Soaps: Traditionally, soap was made using animal tallow (fat) because it made a very hard, long lasting bar of soap. However, for those concerned about the use of animal fat, there are soapmakers who use only vegetable fats in their soaps. If it’s not clear what type the soapmaker is producing and it’s important to you, they’re usually happy to give you a list of ingredients. Specialty Soaps: Handmade soapmakers are creative people and most take great pains to formulate soaps that meet the varied needs of their customers. Some specialty soap you may encounter include Goat Milk Soap (soap which uses goat milk as part or all of the liquid in the lye solution); superfatted soap (soap with extra oils and butters designed to be extra gentle to skin); soap made with clays, exfoliants, exquisite and extravagant butters and oils...well, the possibilities are practically endless! This information is brought to you by the Members in Good Standing of the Handcrafted Soap Makers Guild, Inc. The Handcrafted Soap Makers Guild, Inc. is an independent non-profit trade organization and is not affiliated with any soap company, vendor, supplier, individual, or group. Our Mission is as an international non-profit professional trade association to promote the handcrafted soap industry; to act as a center of communication among soap makers, and to circulate information beneficial to soap makers.